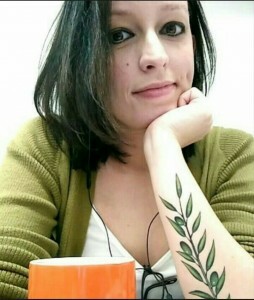 Rachel Nix: As the Founding Editor of Hermeneutic Chaos Literary Journal, a stunning publication which has been providing readers with literature for over two years now, you’ve created, in my opinion, an immaculate home for brave and beautiful work by phenomenal writers of various grains. What made you want to start a journal? Shinjini Bhattacharjee: Thank you so much for your kind words about Hermeneutic Chaos. Without a doubt, founding and running the journal has been one of the most fulfilling experiences of my life so far. I hadn’t even thought of establishing a literary journal in 2014, when I first began submitting work in earnest to literary magazines. I belong to a small town in Sydney whose landscape and cultural aura foster all sorts of creative imagination, but sadly do not offer enough opportunities to allow them to thrive. So I wrote a lot of poems, but could not find a mentor to guide my craft in the right direction, or allow it to elicit its greatest potential. Hermeneutic Chaos was born out of a desire to communicate with a wider, international literary community through a literary magazine, and to learn and grow with it. The journal’s primary objective was to support and offer a meaningful space to a diverse set of writers who shape the contemporary literary landscape, and to publish writing, that, in some way, was geared towards interacting with the society and contributing to a positive change in it. But of course, since its inception in 2014, it has become much beyond that. It has been home to a community of writers from different countries, cultures and identity spectrums, who are hopeful about the purpose of literature and its ability to create an empowering future. Most importantly, it has allowed me to meet and connect with writers who are so amazing generous in the poems they compose, and it has allowed me to grow in ways as a poet I couldn’t envision earlier. Hermeneutic Chaos is a space that dominates most of my hours of a day, but it has been the most spiritually stimulating and aesthetically rewarding labor I could ever imagine. And I am extremely grateful for that. Rachel Nix: Can you tell us what you look for in submissions, or if it’s more about an immediate reaction? I ask this about the immediacy because you have an impressive reputation in the literary community regarding response time – ranking as one of the 25 fastest in poetry markets, according to Duotrope reports. 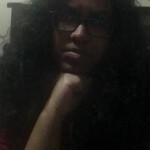 Shinjini Bhattacharjee: I believe that poetry/prose comes from a very sacred space that the writers have nurtured for themselves, and it matters deeply to me as an editor. A quick response time was a part of the journal’s ambitions when I first established it because I did not want the authors to keep waiting for a decision for months. Another factor which contributed to this was my own impatient nature as a poet who hated to wait for a prolonged period to know whether the editors liked my poems or not. And I also believe that being the only person in the masthead allows me to take decisions more quickly. I receive around 50-60 submissions daily, and I promise myself to read at least 30 of them before I call it a day. It does demand a certain exertion, but I feel that it is worth it. Rachel Nix: I want to mention the graciousness you possess as an editor in your interaction with writers. For those who’ve never submitted to your journal or who have not been turned down, your declines are thoughtful and worded with care. I’ve witnessed this myself in the submission process. In a community that seems to either be incredibly supportive or downright snobbish, what drives you to be a voice of encouragement? Shinjini Bhattacharjee: That’s so kind of you to say. I think that emerges from my own identity as a poet who also submits to magazines. I know that the writers craft poems and stories from the deep vulnerable spaces in their psyche, and how every word they write means so much to them. As an editor, it is important for me to understand and respect it. Of course, the decision that we take as editors depends on our aesthetic tastes, and it is never an opinion on the submitted work, per se. And I feel that it is important to remind that to the writers. I never say anything ill about the craft/idea that presents itself in the submission because the writer believes in it, so I focus on the things that I do like, and ensure that the writer knows that too. So even though I say no to a submission, I do not forget to tell the writer that I read their work, and I am grateful that they submitted it to us. Rachel Nix: As an extension to Hermeneutic Chaos Journal, you’re the editor behind Hermeneutic Chaos Press, an independent mircropress that publishes a wide range of chapbooks and anthologies in open and limited editions. What led you to start this venture? Shinjini Bhattacharjee: While I do love to read individual samplings of a writer’s creative effort in the journals, there’s a distinct and more wholesome joy in reading an entire collection of poetry/fiction. Initially, I was a little apprehensive because I did not know what such a project entailed, but I finally gathered courage and started it anyway. Its founding mission, like that of the journal, was to showcase poetry and prose chapbooks that offered different perspectives to view the world. I was inspired by micro presses such as dancing girl press and Porkbelly Press that were run by these fierce, independent women who wanted to bring a little more beauty to the world through literature. I decided to create handmade books because printing, sewing and trimming the chapbooks connects me to them in so many different, organic ways. Running a press is a different journey altogether, and I continue to learn something new from every author I work with. Rachel Nix: You’re also a writer and have a new collection of your own out: There Is No Way to Alter the Gravity of a Doll, available through dancing girl press. What was the inspiration for this book and can you tell us a bit about it? Shinjini Bhattacharjee: A lot of my poems grapple with my identity as a brown girl growing up in a white community that un/consciously alienates me from my own culture and heritage. I did not envisage the poems in This is No Way… to be a collection in the beginning. In fact, they began as individual responses to different experiences, but as I was putting together links to all my poems on my website, I realized how close they were in their lyrical intensity and thematic obligations. That is how the chapbook came into being. Rachel Nix: Your individual pieces have been published pretty widely and to be honest, those of us at cahoodaloodaling like getting ourselves lost in Google while seeking out your work. For our readers who may not be as adept at stalking as we are, where can we see more of your writing? Any recent publications you’d like to link us to? Shinjini Bhattacharjee: Thank you so much! The idea of somebody reading my work always fills me with gratitude. Some of my latest poems have been published in A-Minor, Tinderbox Poetry Journal, and District Lit. Rachel Nix: Who are some of your own favorite writers? Who’s work can you not get enough of lately? Shinjini Bhattacharjee: There is so much good writing that has come into being lately, that is becomes difficult to narrow down a few favorites. But the writers I find myself returning to again and again are Sharon Olds, Kazim Ali, Natalie Diaz, Marianne Boruch, Kaveh Akbar, Aimee Nezhukumatathil and Ocean Vuong. Rachel Nix: Which magazines, online or print, do you admire and follow regularly? We’re always on the hunt for publications to dig into and are curious where other editors’ attention goes. Given the adoration we have for your journal, we’re all pretty interested in what makes a publication stand out to you. Shinjini Bhattacharjee: I believe that we are very lucky to be living during a time when numerous journals and magazines are coming together to offer space to writers new and emerging. Some of the journals and magazines that I read regularly are Poetry, Blackbird, Kenyon Review, The Rumpus, Copper Nickel, Thrush, and diode. Another favorite is Waxwing, that never ceases to amaze me with the wonderful work that it publishes. Rachel Nix: We ask this in every interview because it seems like each editor has one book that has defined them in some way. Any genre, and subject; what’s your favorite book? What book matters to you? Shinjini Bhattacharjee: I couldn’t agree more with you. All of us have that one collection demanded the strangest, and most spiritually engaging responses from us. For me it was Sharon Old’s Odes. I came upon it during a time when I was still struggling to find a poetic expression. It wasn’t the subject matter so much as the power and confidence of her voice that proudly marched on the pages that left me breathless. She told me through her poems that it is okay to give expression to the weirdest parts of our female selves through poetry. Books, I think, carry one primary purpose, and that is to create a compassionate awareness in the reader about the things that matter to them and to the world. They have the power to absorb everything around them and then manifest their potential through words. And of course, any piece of literature speaks the best when it knows what it wishes to achieve, and command the attention of the reader in that direction, ask all the impossible questions, hoping that the reader would encounter something that would change their life forever. 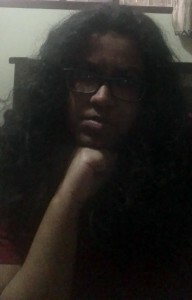 Shinjini Bhattacharjee‘s work has appeared or is forthcoming in Cimarron Review, DecomP, A-Minor, Tinderbox Poetry Journal, and elsewhere. She is the author of two chapbooks, There is No Way to Alter the Gravity for a Doll (dancing girl press, 2016) and In My Landscape, I Am Not Real (Glass Lyre Press, 2018), and serves as the founding editor of Hermeneutic Chaos Literary Journal and Press.